We give you a powerful set of tools to grow your community organically, moderate it effectively, and measure its ROI for your organization. Growing your community has never been so easy. 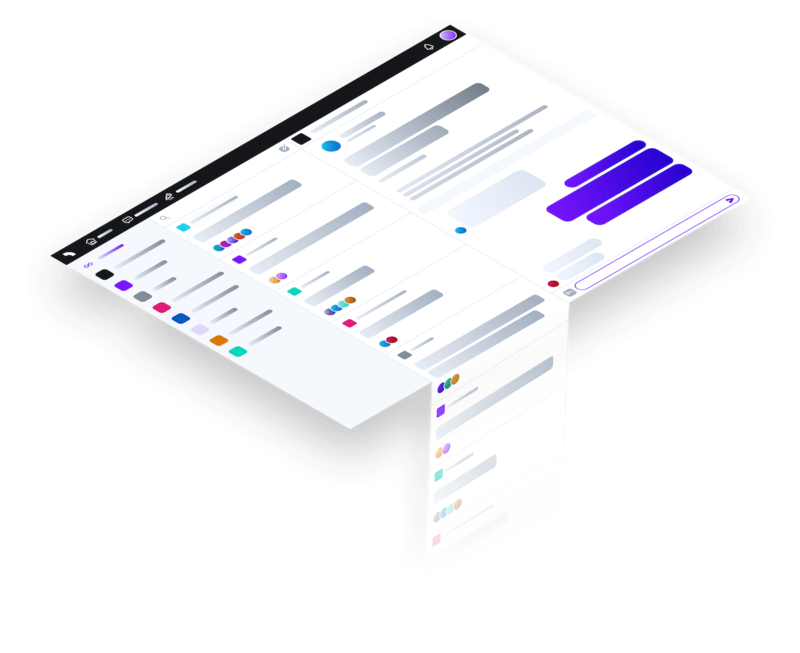 We’ve taken the best features of modern chat platforms and old-school forums and smashed them together into a format that makes it easy scale to any size - even across timezones. Conversations and communities on Spectrum are public, permalinked, and search engine optimized by default which makes it easy for new members to find and join your community. Skip managing multiple credentials and playing whack-a-mole with DMs and notifications, Spectrum lets you join as many communities as you want with only one account. Keep your community happy and healthy. We give you fine-grained solutions to moderation issues via individual locking, blocking, and deletion controls for each thread, message, and member in your community. We also give every community automated toxicity monitoring and spam prevention by default. With Spectrum’s Rep system, you can see how active and constructive a member is in your community - and globally across communities - which makes it simple to figure out if an issue is a trend or an isolated incident. Identifying a problem is one thing, but it can still be hard to know how to act on a moderation issue. SAM (Spectrum Assistant Moderator) helps you make those decisions by recommending proven solutions, automatically flagging toxic messages for removal, and even addressing issues with problematic members (all with your permission of course). Focus on impact, not usage. When you add Community Analytics to your community, you’ll get a bird’s eye view of your community’s overall growth and user engagement. You’ll also get a heads up of what types of conversations are most active as well as a list of any that have gone unanswered. With Spectrum integrations, your community can go beyond engagement to provide a convenient first-touch experience to organically onboard and convert new users. With Business Analytics, you can connect your user accounts to your community and correlate member activity directly to key customer success metrics. See how member engagement directly impacts customer LTV, retention, and more. 1:1 support chat and ticket systems can make it hard to provide help to users efficiently - especially at scale. Spectrum enables you and your users to address issues globally and searchably without the extra duplicated effort. Spectrum’s great for collecting feature requests and user feedback, and the realtime nature makes it easy for the requests to adapt as you update your product. Want feedback on an upcoming release? Spin up a private channel for your beta testers alongside the rest of your community! When your users love your product, they want to tell others. Give them the support they need to help other members with custom roles and integrations.